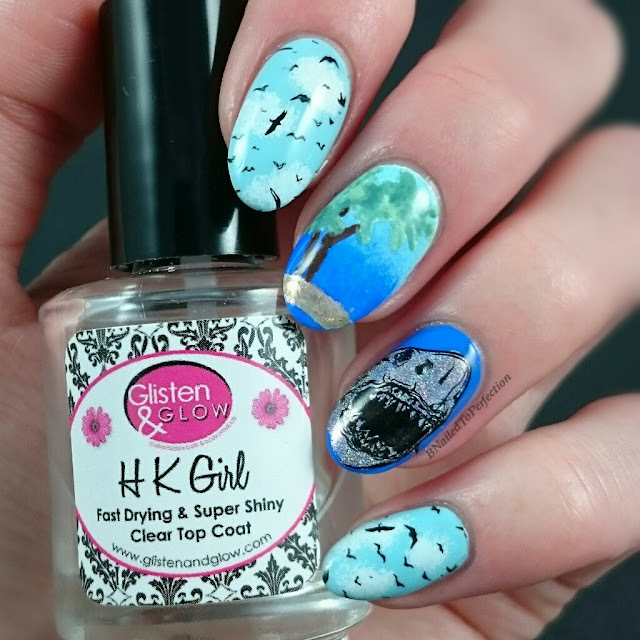 I have another link-up post from the lovely gals down at Hobby Polish Bloggers and this months theme is Beach. I've been wanting to buy the Uber Chic plates for a while and when this theme was announced I knew I had to buy them. 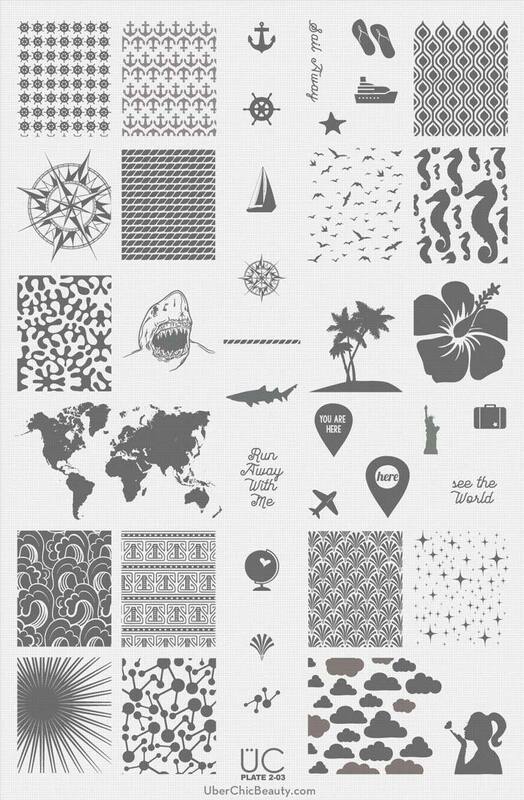 I used plate 3 from their second collection. I only bought set 2 and 3 as set 1 was out of stock at that time but I will add that to my collection very soon! I was really impressed with their plates. They are very good quality and are etched just right so they stamp beautifully. 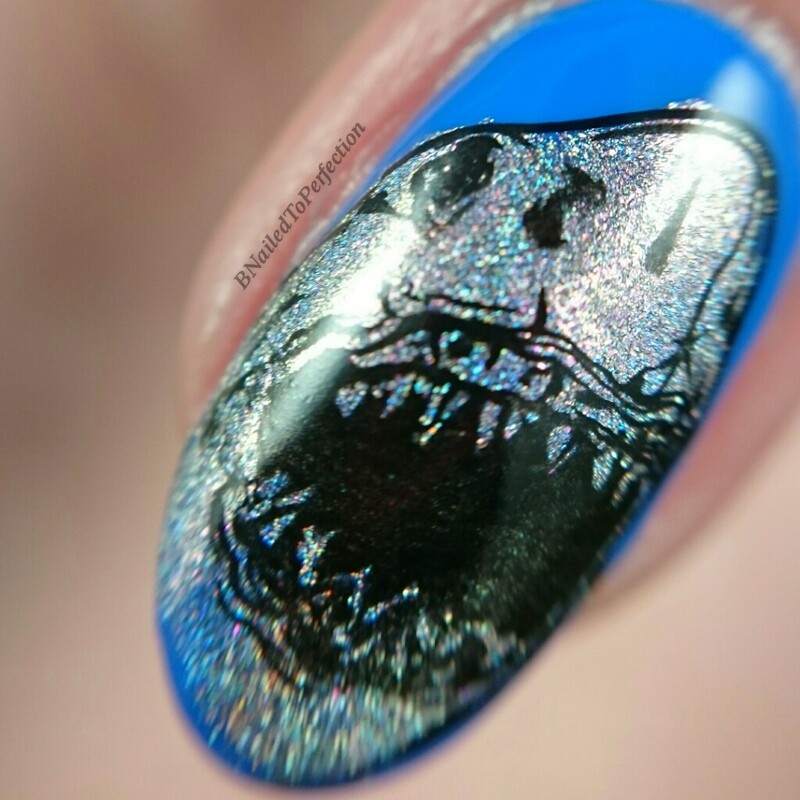 All of the images in this mani are from this plate. For my pointer and pinky I used 2 coats of Barry M in Sky Blue. Then I dabbed some white clouds on using a sponge and Morgan Taylor All White Now. 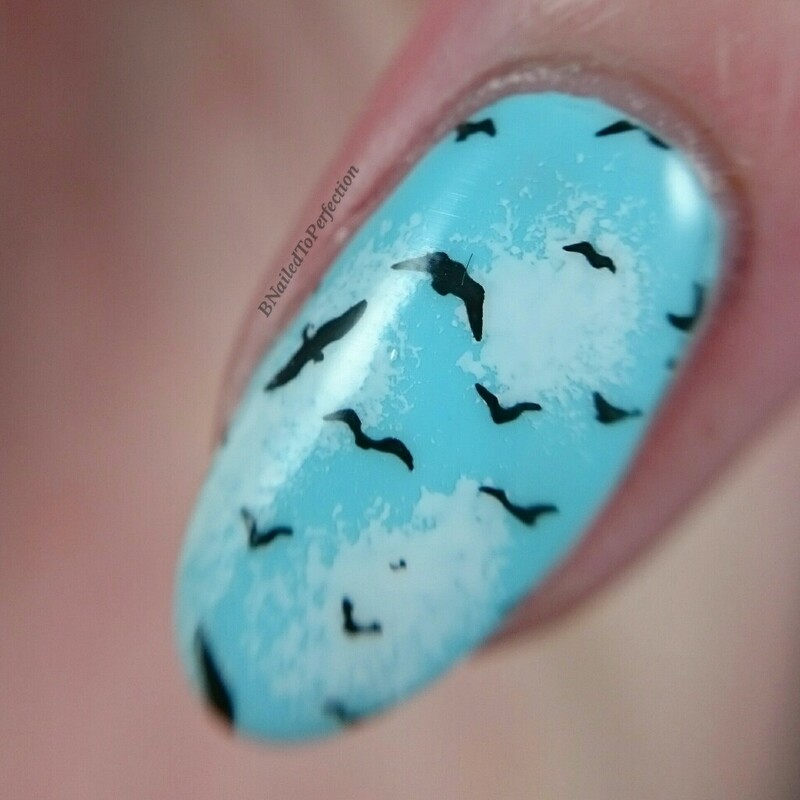 I stamped some birds using my black MoYou Nails stamping polish. For my middle finger I did a gradient of Barry M Sky Blue and Damson. 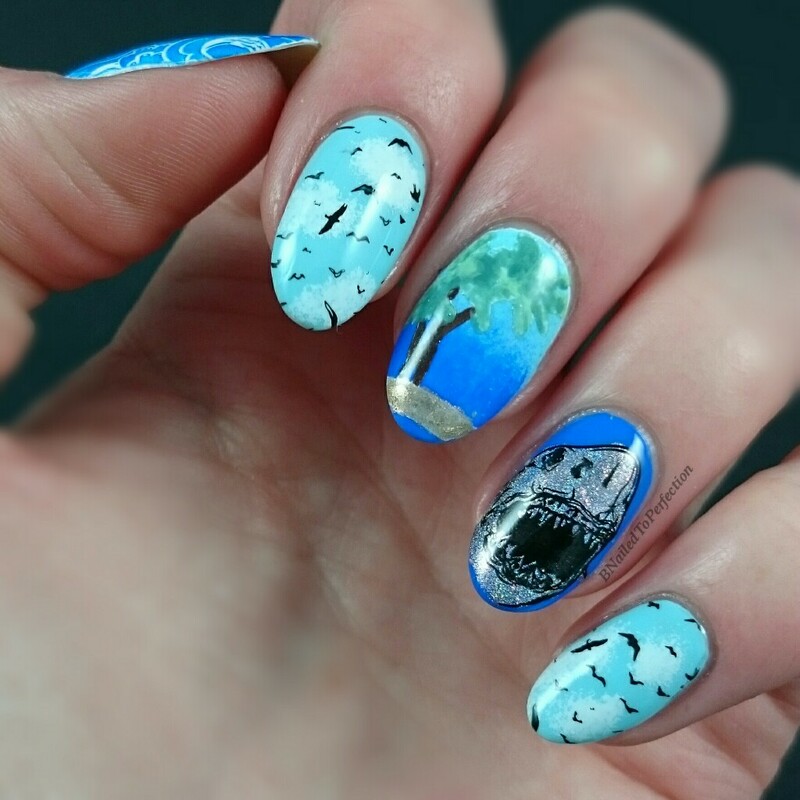 I then stamped the palm tree on my nail in using my white MoYou nails stamping polish. 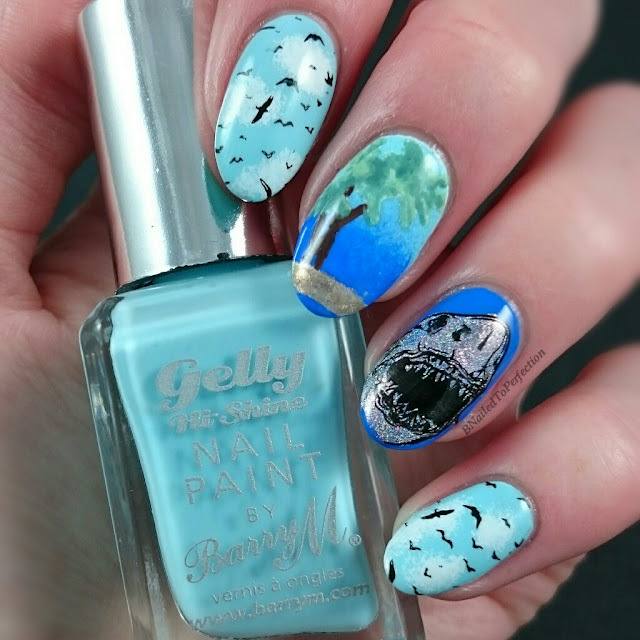 I don't actually have a beach coloured or green stamping polish so I had to compromise and colour over the white stamped image using some regular polish I had. Here's a macro of Mr Holo-shark...because why shouldn't he be holographic!? 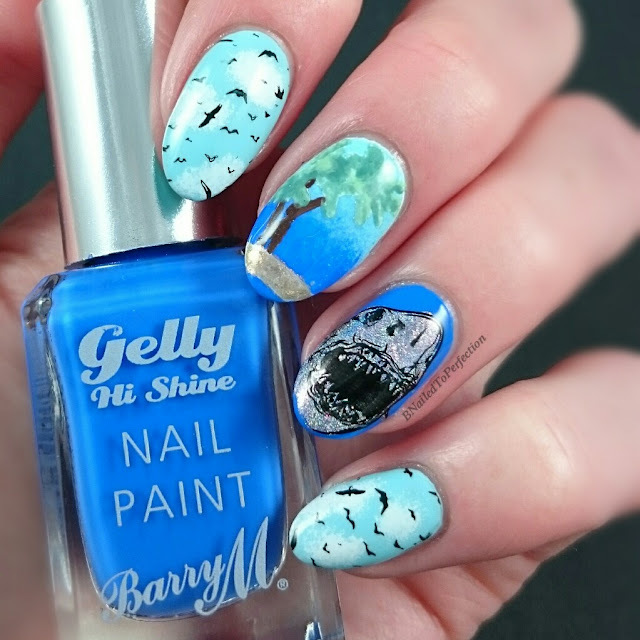 I used 2 coats of Barry M Damson as a base and then stamped the shark and coloured him in on the stamper using Edith from the new CBL Overboard collection. It is a stunning polish and will appear on the blog soon! 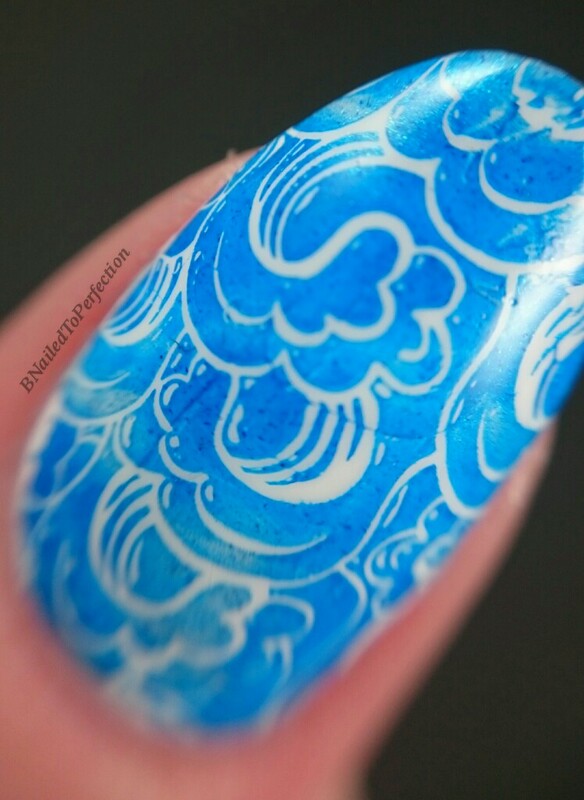 I used Morgan Taylor All White Now and did a gradient stamp using two of my blue Dashica polishes and the wave image. As always I topped off with my HK Girl fast dry top coat. So what do you think of my take on Beach? I really did love this mani and hated removing it!